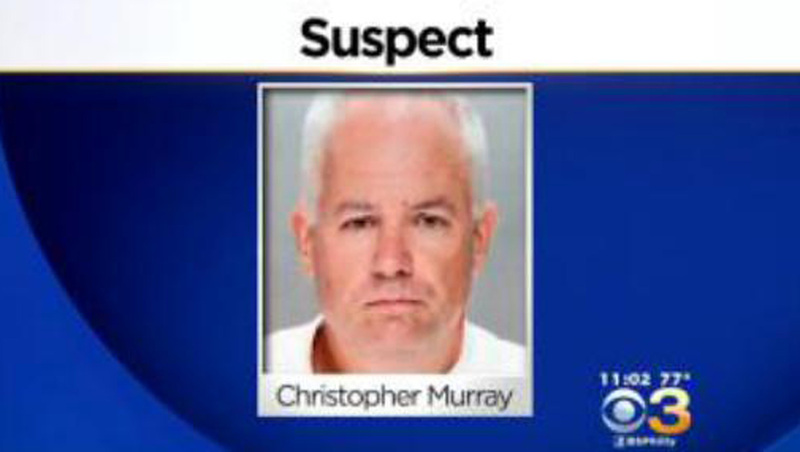 PHILADELPHIA - The husband of a Philadelphia jogger who was found dead in a park last week has been charged with murder, reports CBS Philly. The body of 46-year-old Constance "Connie" McClain-Murray was discovered Aug. 5 at Pennypack Park, according to the station. The mother of two had reportedly gone for a jog the night before and never returned home. Authorities later revealed that she had been strangled. On Sunday, the station reports police charged the woman's 48-year-old husband, Christopher Murray, after he allegedly confessed to committing the crime. He is now charged with murder in the case. In a briefing at police headquarters Sunday afternoon, Homicide Lt. Philip Riehl said Murray's story about the night his wife went missing didn't add up. "His wife was missing but [the suspect] contacted nobody - no friends, no family - to find out if she was with them," Riehl said, according to CBS Philly. "Instead, [Murray] immediately went to hospitals and went to the police station, it seemed almost a show." On Saturday, Pennsylvania State Police gave the Murray a lie detector test. Police say he failed, the station reports. "After failing the lie detector test, he was questioned by detectives," Riehl said. "He ultimately confessed to strangling his wife in the park." Hundreds attended Connie McClain-Murray's viewing Sunday night, CBS Philly reports. The victim's funeral is set for Monday morning.